What is the origin of the Cardigan Welsh Corgi? 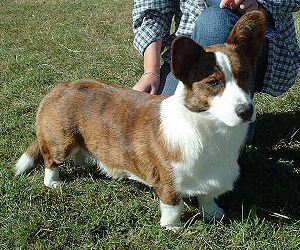 The Cardigan Welsh Corgi is believed to have been in existence in Wales for over 3,000 years. The first Cardigan Welsh Corgi was imported to the United States of America in 1931. 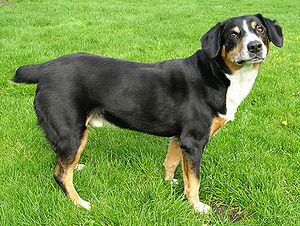 The Welsh used them as affectionate companion, guard, general farm worker, and driver of cattle. The Cardigan is sometimes confused with the more common Pembroke Welsh Corgi, it is in fact a separate breed. The Cardigan Welsh Corgi is a long, low fox-like dog with large upright ears, a brushy tail, moderate bone, and front legs slightly bowed around a deep chest. 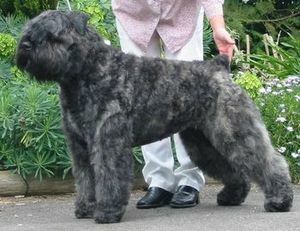 Its coat is medium length, in a variety of colors. They can be any shade of red, sable, or brindle; they can also be black with or without tan brindle or blue merle with or without tan or brindle points. They usually have white on the neck, chest, legs, muzzle, underneath, tip of the tail, and as a blaze on the head. What is the Cardigan Welsh Corgi’s temperament? What is the Cardigan Welsh Corgi’s use? 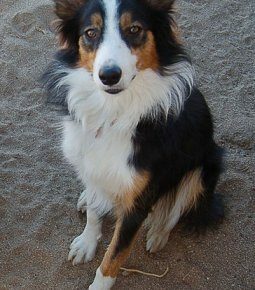 Cardigans make a wonderful companion and working farm, show, or performance dog.